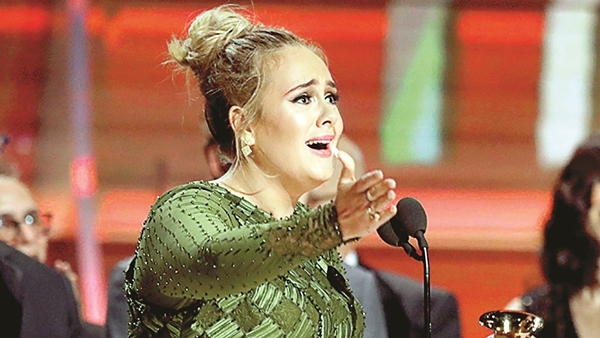 Adele swept up five Grammys this weekend, but also kept the Beyhives (thatai??i? ?s Beyonceai??i? ?s fandom, for you and me) happy. In her acceptance speech, she said, ai?? ?I canai??i? ?t possibly accept this award. The artiste of my life is BeyoncAi??. And this album to me, the Lemonade album, is just so monumental.ai??? The speech had BeyoncAi? ?, glowing in her red dress, in tears. The video of this moment has been trending on social media with over six million views. While Priyanka Chopra has been on a number of American talk shows previously, she finally made her debut on The View, which is hosted by Joy Behar, Sunny Hostin, Sara Haines and Jedediah Bila. Chopra, who was dressed in a mustard yellow and navy blue outfit, spoke about i ssues such as body shaming, pregnancy and her ethnicity. She even addressed a query about her rumoured nose job. Canadian Prime Minister, Justin Trudeau met Donald Trump earlier this week. Trump is known for his aggressive handshake while meeting other state heads, including Japanese Prime Minister Shinzo Abe recently, which lasted for an awkward 19 seconds. But Trudeau seems to have a firm grasp on the matter, as he was equally assertive with his handshake, and neutralised the tension with a pat on the presidentai??i? ?s arm.